"It's Time to Stop Suffering in Your Speaking Business So You Can Start Helping More People and Profiting from Your Message!" Do you want to run live events, but don't have any idea where to begin? Perhaps you've suffered the embarrassment of trying to hold a live event, only to have no one sign up or show up. Or maybe you've tried to run live events, but didn't make the kind of money you expected, or worse, didn't cover your costs and actually lost money. Running live events is a complicated business for beginners and pros alike and there are so many traps and pitfalls which can create not only financial pain, but humiliation if you don't have the "insider secrets" that the successful, highly compensated speakers have figured out through trial and error. It can be so frustrating when you put your neck on the line and the returns are not what you expected. The good news is that there are some speakers, including Michael Stevenson, who have figured out how to crack the secret step-by-step systems that have enabled them to earn six- and seven-figure incomes in the field of professional speaking. In this powerful, in-depth online course recorded with a live audience, you'll learn the specific business strategies and step-by-step marketing systems that Michael Stevenson and other successful speakers are using to make a lucrative living in the speaking industry. In this Mastering the Business of Professional Speaking course, you'll learn how to market yourself as an expert speaker in any field you desire. Michael will share with you powerful principles that will have you filling your rooms and selling more than ever before. Michael will be sharing secrets he has used to make multiple seven figures in the field of speaking. "Again, you've provided more value than I had imagined. Every module was jam packed with value, and then you even gave us a bonus day of training! "After taking this course, I feel like I know everything I need to know about marketing ... not just for Speaking, but for Coaching and Product Launches as well. Everything that intimidated me before, you made it look easy. I loved the on-screen demonstrations. You didn't hold anything back. "I can't even tell you what my favorite part of the training was. Each module I learned things I had always wanted to learn about marketing. Everything from setting up landing pages, to running Facebook ads, negotiating hotel fees for events, the types of equipment to use, how to design eBook covers (and so much more)... these are all things I'd been trying to go out and search ("how to") on my own but never received all of the details I needed. "Now I have everything I need in one place and can always reference back to the videos. And, for a limited time, I'm going to "sweeten the pot" with these valuable bonuses worth over $1250.00! The Irresistible Elevator Pitch Formula home study will teach you how to create a riveting three-minute pitch that will turn strangers into prospects and paying clients on the spot. Elevator pitches are sales pitches that take a short amount of time — about the time that it would take you to ride an elevator with a prospect. Using this formula, you'll be sealing deals and closing more sales than EVER before. Makes for a GREAT companion to this course and this home study. We know you'll love this program, and that's why we are taking all the risk by making this satisfaction guarantee. Try Mastering the Business of Speaking to your hearts content. If for any reason at all you aren't seeing the mind blowing results we expect you to see after within one month just send us an email or call us toll-free and we'll cancel it immediately and refund purchase, no hassles. 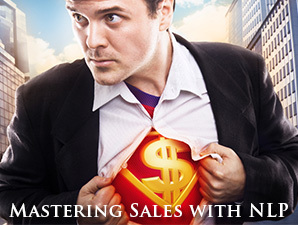 Get the Mastering the Business of Speaking Video Home Study Right Now!